Camping near London is one of life's many surprises. 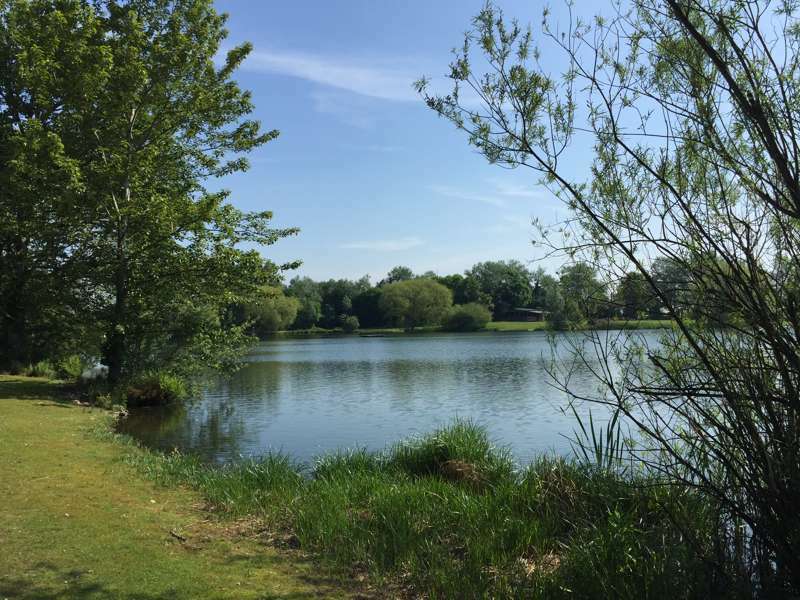 Beyond the big smoke of the city, it actually takes a surprisingly short amount of time before you can stumble across some of the UK's best campsites, hidden among woodland on the edge of London or tucked in the rolling hills of the green belt. 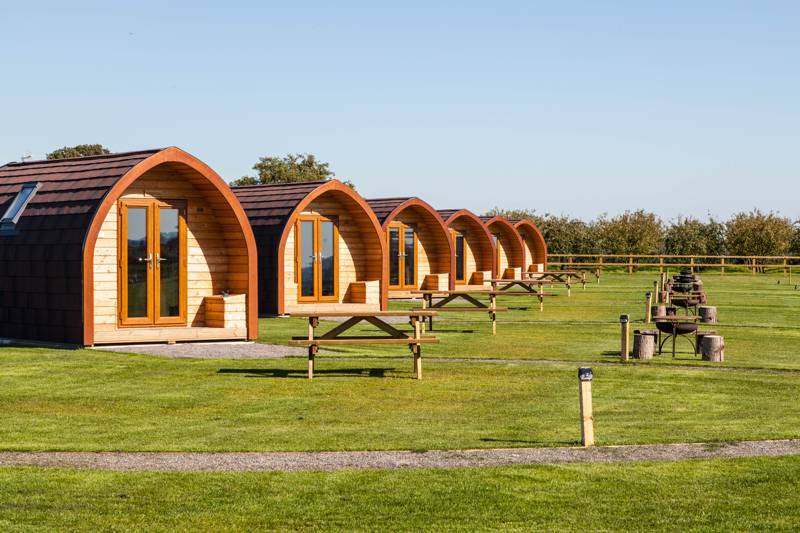 Glamping sites are in abundance too, with glamping near London really taking off in recent years and a growing number of sites opening every summer. And it's all for good reason. 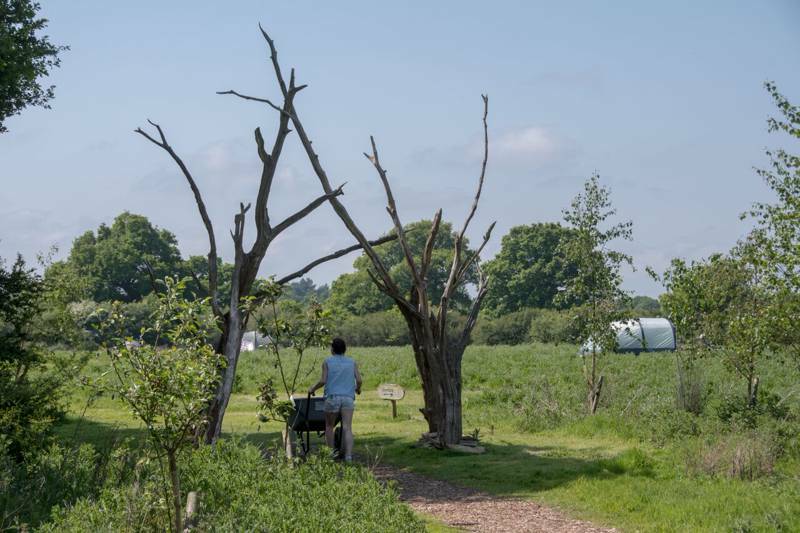 Near London campsites offer city dwellers the chance to break from the hustle and bustle of urban life and head out to the countryside for the most direct access to nature a holiday can provide – sleeping in amongst it! The Cool Camping office is based in London, so we know, as well as anyone, just how important it can be to find a good campsite that's easily accessible from the capital. 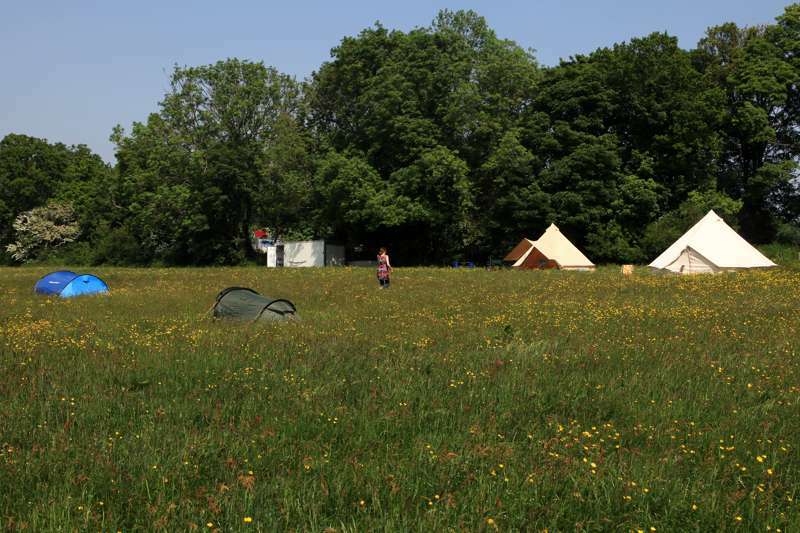 Whether it's driving to Suffolk, Essex, Hertfordshire or Buckinghamshire, or getting a train out to the South Downs, Surrey, Sussex or Kent, we're sure we'll have a campsite near London that's right for you. Browse our pick of the best campsites and glamping within about 1 hour travel time of London above and book your next escape from the city today! 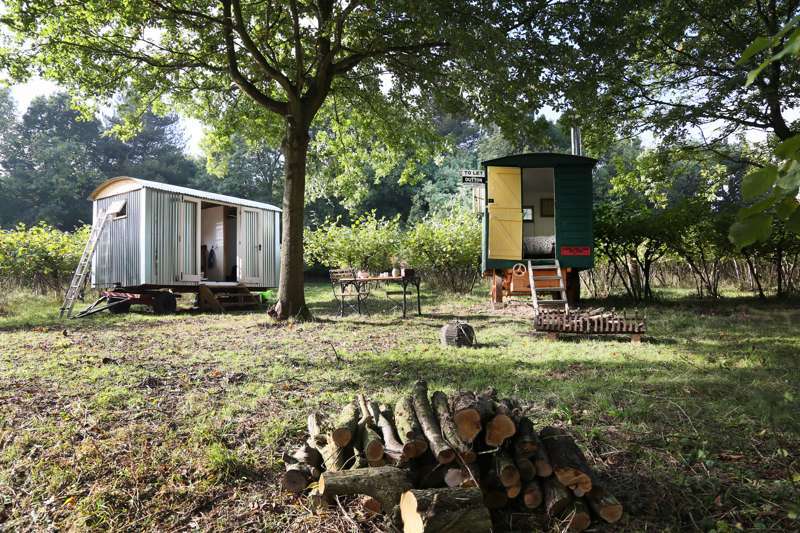 While glamping sites have been grabbing the headlines in recent years, the counties around London aren't all about glitz and glamour. And when it comes to camping near London, there's nothing we love more than a traditional night under canvas. We've made our name searching out the very best campsites for tent campers and nothing has changed there. Shepherd's huts and treehouses are all well and good, but for a cheap night making the most of nature, you just can't beat unpacking the old tent, pushing pegs into the ground and setting up your very own shelter for the night. Around London there are loads of fantastic, small, independent campsites where the focus is not on commercial caravanning and tarmac pitches but on the humble tent camper. It's those kind of sites we love. Stripped back, simple, close to nature. If you're looking for a tent camping site you've come to the right place. 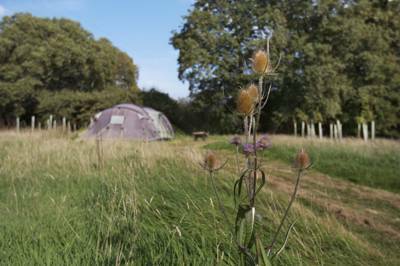 Browse our favourite campsites near London below and use filters like "tent pitches" to find the place thats right for you. It's no surprise to learn that families are often top of the list when it comes to weekend travellers taking a break from time in the city. Nature in the city is never quite on the doorstep and, if you want to get your kids into the great outdoors, there's no better idea then hopping on a train to Surrey or driving to Kent for a proper camping trip. 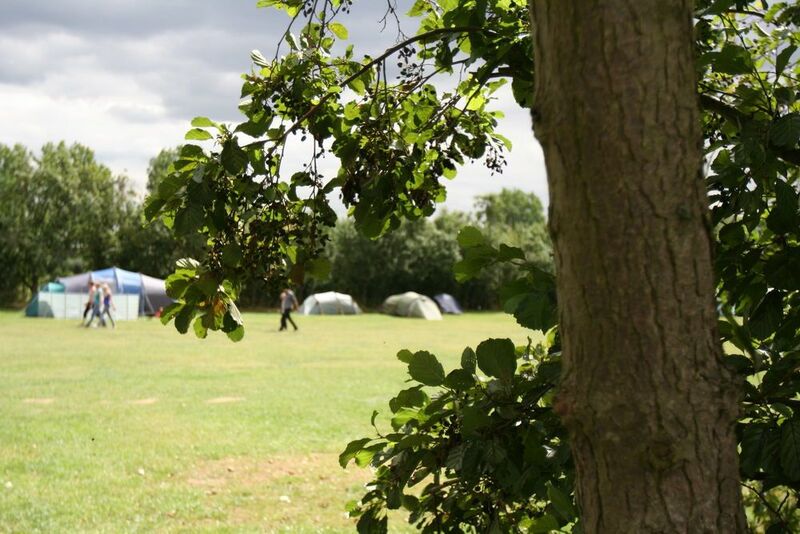 For children growing up in the city, a camping holiday can be an incredible eye-opener. The chance to see the stars, discover England's native wildlife, light campfires and learn how to use them and cook with them safely. Plus, of course, there's the joy of having all that natural space – to run, jump, hide in and get covered in mud! Here at Cool Camping we love family camping holidays – we've got a best selling family camping guidebook to show for it – and we know as well as anyone how important it is to find the right kind of campsite for your kids. 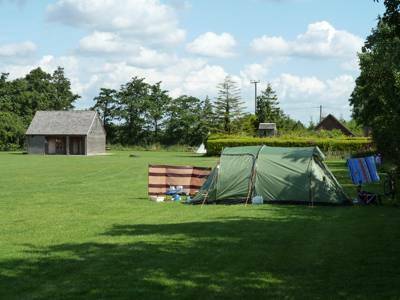 Browse our collection of campsites below and use filters like "good for kids" to find the facilities and activities that you require. A big part of camping near London is the convenience of being able to get in and out of the city easily while still feeling remote and cut off from the urban world. Whether it's a campsite in East Sussex or a glamping break in Berkshire, many people are looking for a place with good train links to and from the city. Thankfully, everyone of our campsite web-pages features a public transport section where you can find out how best to reach the site without your car and you can also click on 'map' view to browse all of the campsites near London by location. Finally, if you really want to treat yourself, you could even hire a campervan from the city and take a roadtrip from the capital out to your chosen destination! Don't have all the camping clobber? Don't fancy sleeping in your tiny tent? 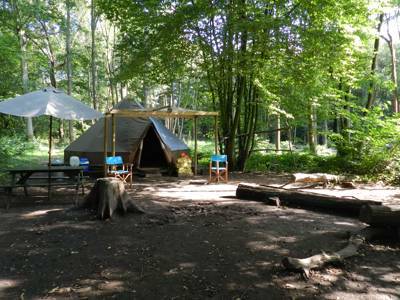 If you prefer luxury living to tent dwelling then you'll be pleased to hear that Cool Camping also recommend a number of glamping sites within easy reach of London. Whether it's a night beneath the stars in a luxury bell tent, a summer stay in a family-sized yurt or a winter hideaway in a shepherd's hut, we're sure we'll know a place that suits your needs. Browse our recommend locations below and use the accommodation filters to find the place that's right for you. And trust us when we say there is plenty of choice. Within less than a 100 miles from London we've found treehouses, converted double-decker buses and even inspiring RAF helicopters that have been transformed into quirky accommodation options. Discover them all now and book your next adventure online today. for a quick weekend break you needn't travel to the end of the earth to find a quiet slice of countryside and we know there are plenty of places closer to the home that fit the bill. From one-night breaks in Surrey, to quick escapes in the Home Counties and half term holidays in Norfolk, Suffolk and Kent, there are ample incredible campsites near London that don't takes a million hours to get to. So whether it's hopping on a train or getting in the car, you can still escape the city for a few days and enjoy the best of the fresh air. Hooray! London Campsites near london, by london, on the edge of london, beside london, outskirts of london, suburbs of london, near by london, near to london, london campsites 1 hour from at Campsites near London, Camping near London is easier than you think and, whether it's Surrey, Kent, Sussex or the home counties, there are ample camping destinations on the doorstep of the capital city that are perfect for your next holiday. Discover the best London campsites with just the click of a button now.